The Odette wedding dress is a flawless interpretation of modern bohemian elegance set to beaded tulle. 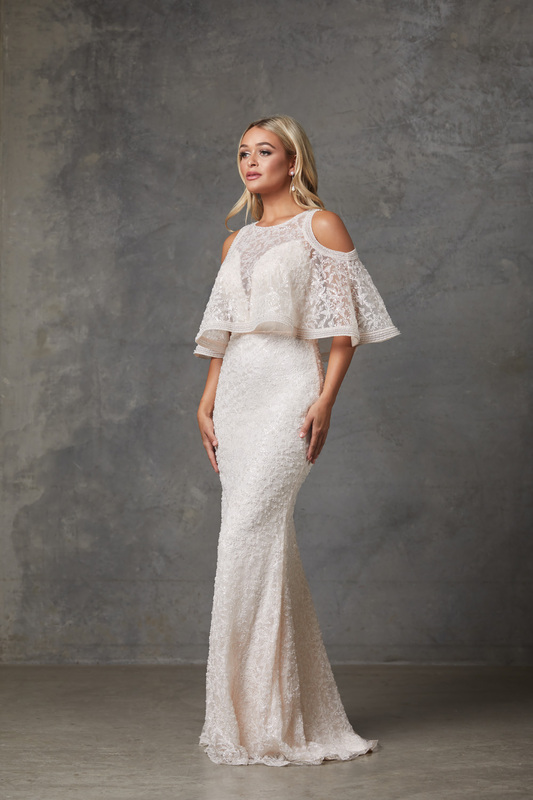 With the delicate lace detailing you are sure to make a statement on your wedding day or wear it to an elegant black tie event. The Odette wedding dress is a flawless interpretation of modern bohemian elegance set on beaded tulle. 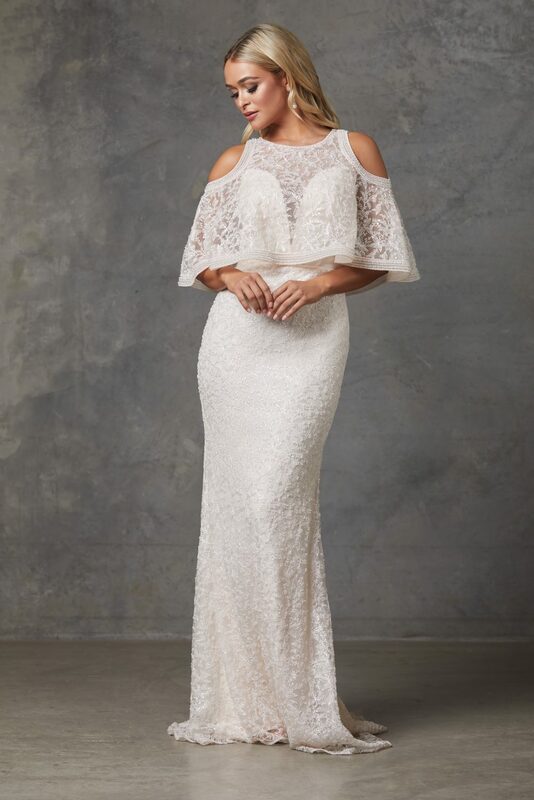 Featuring cut out shoulders and a layered upper sleeve overlay, this elegant beaded embroidered dress flows seamlessly down to a floor length skirt.